The move could pave the way for a nuclear-powered aircraft carrier. The China National Nuclear Corporation, a state-owned enterprise which oversees all civil and military nuclear programs, announced it was seeking bids for the country’s first nuclear-powered icebreaker late last week. The technology used to employ a nuclear reactor on this icebreaker could be replicated on a mid-sized carrier, Asia Times reported. According to the statement posted on CNNC’s website, the icebreaker will be used to support polar science expeditions and develop northern shipping routes. Chinese military observer Song Zhongping told the Beijing-based state-run newspaper Global Times that the construction of this icebreaker can be seen as a preparation for a nuclear-powered aircraft carrier. “Nuclear power technology can also be applied to other military vessels, which allows them to travel long distances, and thus protect national security and overseas interests,” Song said. China currently has a fleet of small sea-going nuclear reactors, according to Popular Mechanics. A large reactor designed for this nuclear-powered icebreaker could also be installed in an aircraft carrier in banks of four or more, providing the energy necessary to power a 60,000 ton aircraft carrier, directed energy weapons, and electromagnetic catapults for launching aircraft. 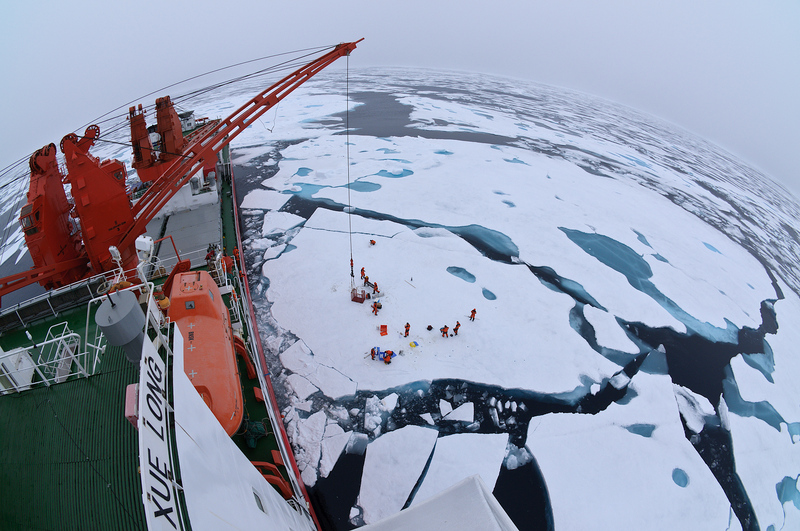 As ice in the Arctic Ocean thaws with climate change, China has been increasing aggressive in its efforts to become an influential figure in the region. One of China’s largest shipping companies, COSCO Shipping, announced at the World Transport Convention earlier this month that it will be sending more than ten ships through the North Sea Route this summer, Xinhua news agency reported. According to Anne-Marie Brady, professor of the University of Canterbury in New Zealand and the executive editor of The Polar Journal, this is not the first time the CNNC has tried to build a nuclear icebreaker. In 2014, the corporation submitted a request to China’s State Oceanic Administration, but was that was postponed due to “political, social, and environmental” considerations. 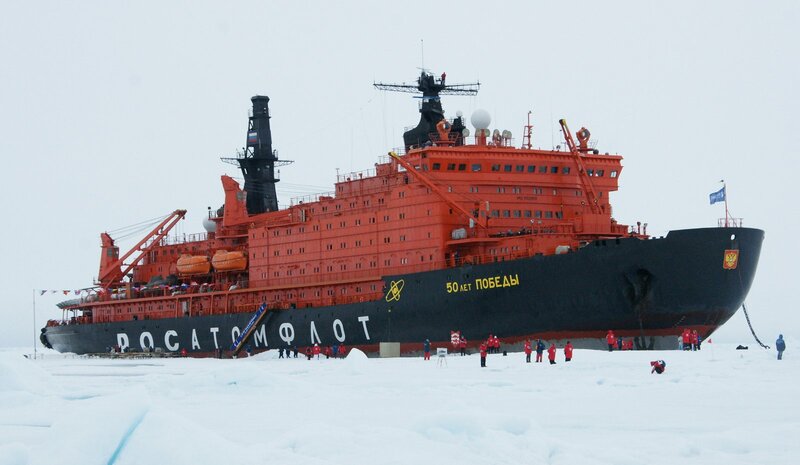 Russia is currently the only country in the world with a fleet of nuclear-powered icebreakers. Those vessels support shipping along the nation’s Northern Sea Route.